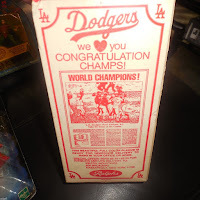 Last week I highlighted some recently produced milk cartons featuring Dodger players on a side-panel, so naturally I wondered if others existed from years past. 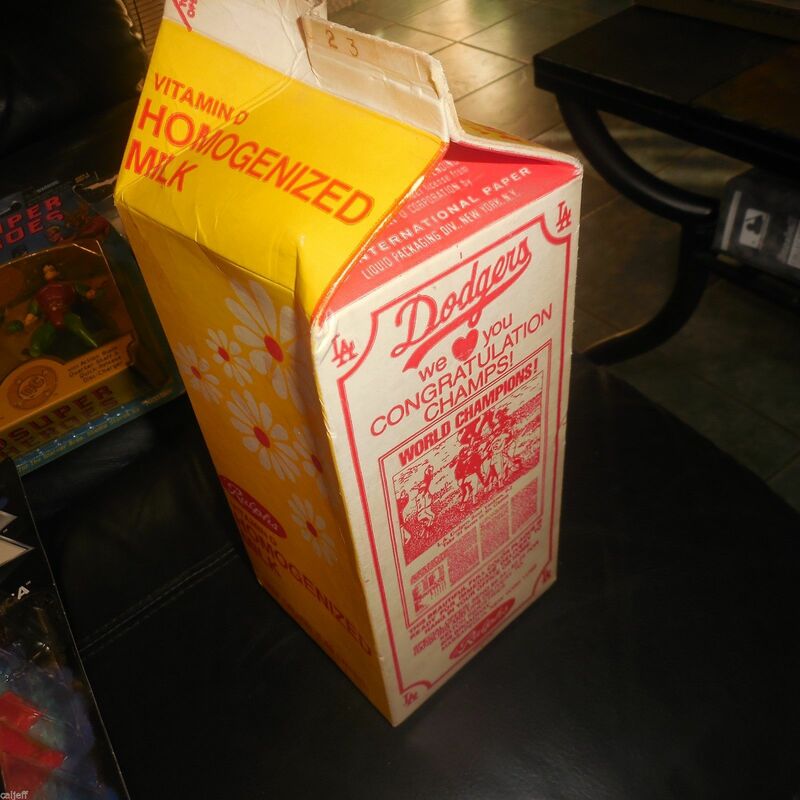 Thankfully, my curiosity did not go unfulfilled. Featured here is a Ralphs Supermarket milk carton, as found on eBay, from 1981 that I just had to share. 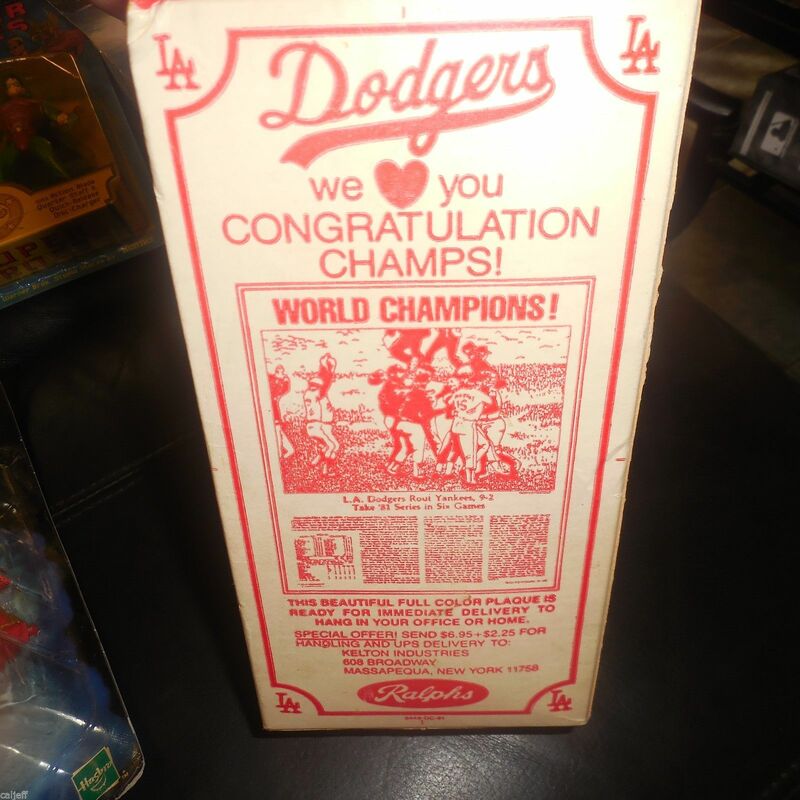 It doesn't show any one specific player on the carton, but it does include a photo of the on-field celebration after Steve Howe got the last out in the World Series. As you can see, it also includes the box score from the deciding game and an newspaper styled article. 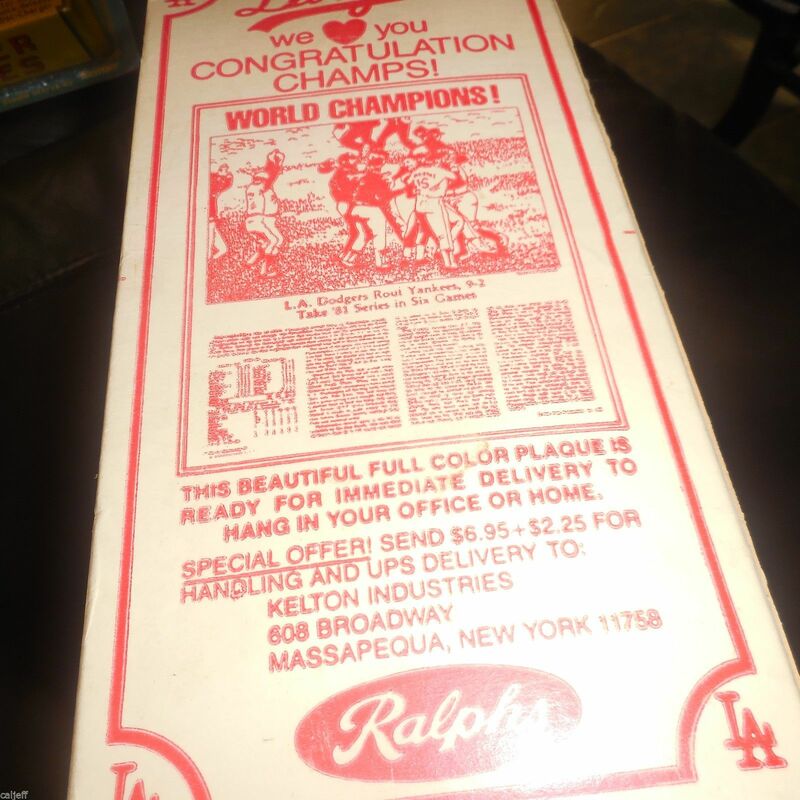 There is also an advertisement for a full color plaque that you can hang on the wall for $6.95. 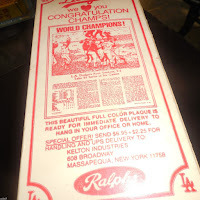 After doing a brief search I could not locate a pic of this plaque, but I did find one for the 1980 World Series that looks very similar (link here).